The teacher, Patrick Healy, traveled around the world, talked with people in different places, and collected around half thousand myths, legends, and folktales and their several alternative versions. His opinion and comments (directly or indirectly) are inevitable. This is the first volume of his work. 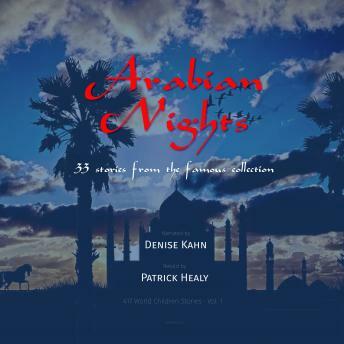 Patrick grouped together 33 famous Arabian children's stories and myths with his words. He retold the stories with his own opinion and approach to them. Patrick is an Australian writer who has an abiding interest in the folklore of different cultures. He has lived and worked in Hong Kong for over twenty-five years as a high school teacher. Patrick has traveled extensively throughout Asia and speaks both Cantonese and Mandarin fluently.